With Creative Cloud for Education, a simple monthly membership gives you the entire collection of Creative Cloud tools and more. 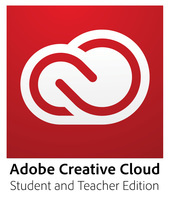 Creative Cloud members automatically get access to new products and exclusive updates as soon as they’re released. And, with cloud storage and the ability to sync to any device, your files are always right where you need them.